Managing Your Investment - Allen Property Group, Inc. - Allen Property Group is a real estate services company based in Santa Cruz County that offers clients assistance with sales, leasing and property management. Allen Property Group specializes in commercial real estate management. We currently manage over 500 rental units; ranging from office, retail, industrial, hospitality and multi-family apartments. 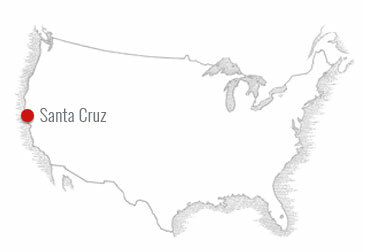 Our geographic area of specialization is the Central Coast of California. Our staff has years of experience in management, leasing, maintenance and project management. We pride ourselves in successfully taking clients from initial acquisition, property stabilization and ultimate disposition of their real estate investments. We offer customized options to fit your needs, from full-service management to simple leasing. Our accounting department tracks everything from mortgage expense, rent rolls and complex capital asset details; allowing accurate monthly and annual operating statements. Using the latest in social media, internet, and traditional marketing sources, we strive to reach a vast range of potential clients for an optimum tenant mix. Whether you are a property owner or tenant, we welcome the opportunity to work with you!